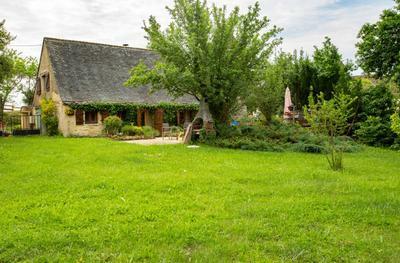 Semi-detached stone farmhouse located at the edge of a pretty village in the Lot. A great location for all the tourist attractions of the Lot and the Dordogne. The house is situated in a private garden surrounded by hedging. There is a lare patio are and parking for 2 carsplus a garden shed. 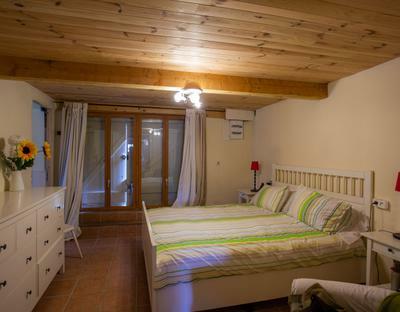 Inside, there are 4 bedrooms, 3 bathrooms and an open plan kitchen diner leading to a small but cosy living room. There is an extra bedroom in the loft space that could be used as an office or studio. The house is on mains drains and is heated by a wood burning stove and electric radiators.